In 2009, a partnership between holistic nurses and chaplains at Cleveland Clinic led to the first Code Lavender initiative. This program provides holistic rapid response care for caregivers. Healing Touch is one of the holistic modalities offered. Click here to read the full article on the Cleveland Clinic Consult QD website. In 2008, Nemours/Alfred I. duPont Hospital for Children in Wilmington, DE started the journey to become an innovative leader in pediatric healthcare institutions, establishing the first Healing Touch Program and staff position in the tri-state area of DE, PA, and MD. 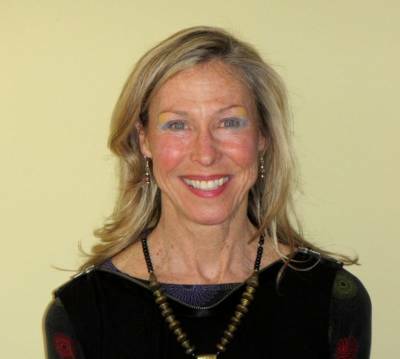 The part-time position afforded the Healing Touch Certified Practitioner (HTCP) sixteen hours per week to provide Healing Touch to recommended patients and their caregivers. Education of medical and support staff was a key step and accomplished through presentations offered at noon rounds, department meetings, local area and hospital conferences and unit offered experiential activities. The HTCP was also employed as a direct care nurse on the bone and blood marrow transplant unit, allowing the opportunity to work directly with staff, attending physicians, and residents to raise awareness of the therapy. In July of 2015, the Healing Touch Professional Association Insurance Initiative Committee conducted a Healthcare Survey of Healing Touch being used in healthcare facilities. The survey was created in conjunction with the Healing Touch Professional Association and Healing Touch Program. 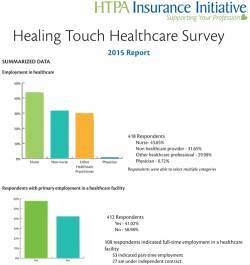 The results of this survey provided data to aid the Healing Touch Insurance Initiative in their endeavor to obtain insurance billing codes to allow reimbursement for Healing Touch. The report is a summary of the data collected. Copyright © , Healing Touch Program. All Rights Reserved.